Baccarat and Flos reveal their new collaboration with internationally renowned creator Philippe Starck. BON JOUR VERSAILLES, a collection of lamps born from History and Human Intelligence. The BON JOUR VERSAILLES collection, with two models available in crystal and polymethacrylate (PMMA), solves the paradox between industrial precision and artisanal know-how, between aristocracy and democracy, between science and poetry. 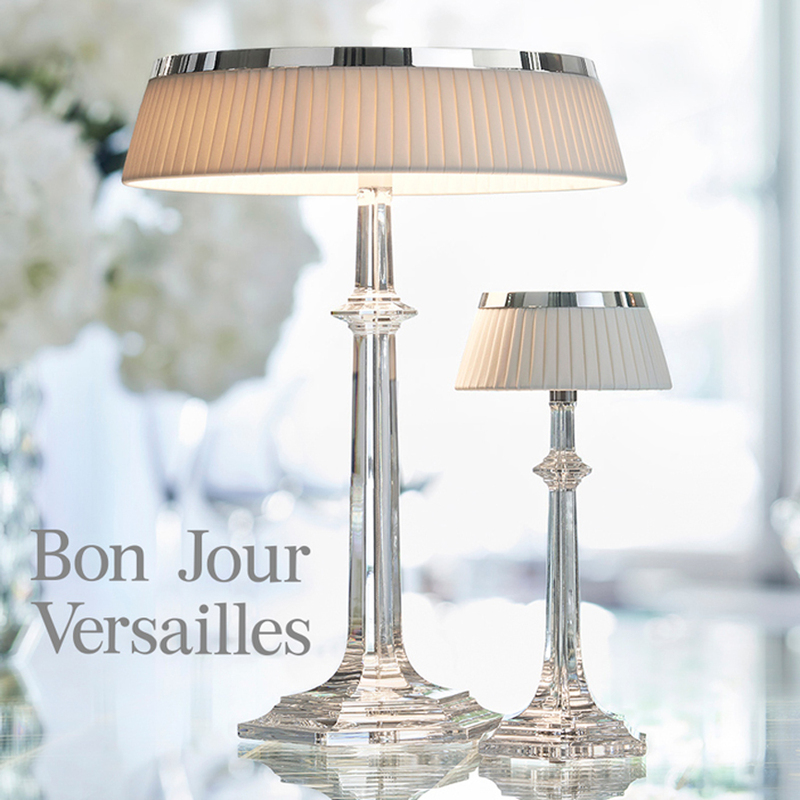 The BON JOUR VERSAILLES lamp sits on top of a finely sculpted transparent crystal or polymethacrylate stand whose lines are reminiscent of the Maison Baccarat most iconic pieces. Crowned with a chrome plate, the lamp features a unique and innovative LED Edge Lighting technology developed by Flos. This revolutionary system, coupled with an elegant lampshade in pleated fabric, allows the diffusion of warm and organic light that reveals spaces, thanks to an infinite optical play, and like a reflection of magical transparency, the lamp, bathed in light, seems to come alive from the inside.